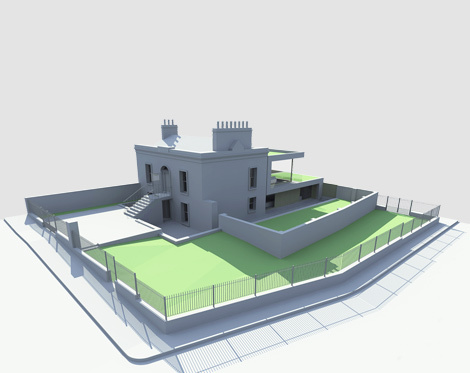 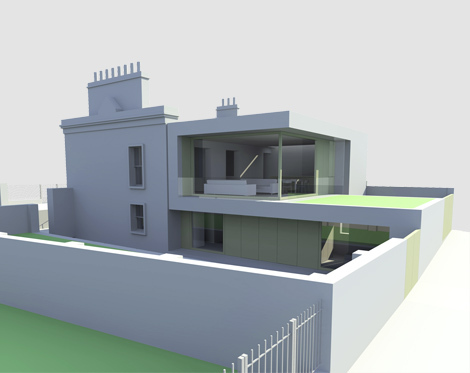 Located at the intersection of Marine Parade and Burdett Avenue this project called for the internal modification and renovation of an existing, listed two-storey, mid-nineteenth century, end of terrace house with the provision of a new two-storey addition to the rear and a re-modelled external landscape. 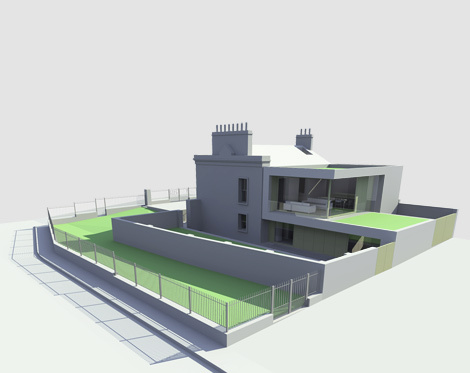 The extended lower ground floor provides two additional bedrooms, a bathroom and large utility area while the upper ground floor accommodates a new kitchen and family room. 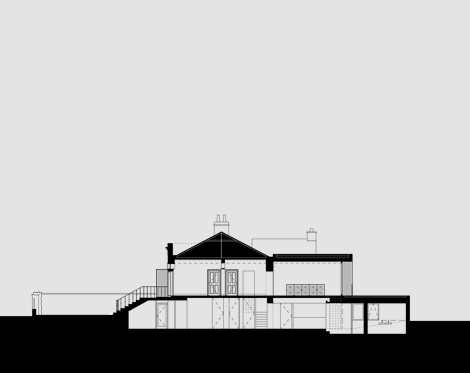 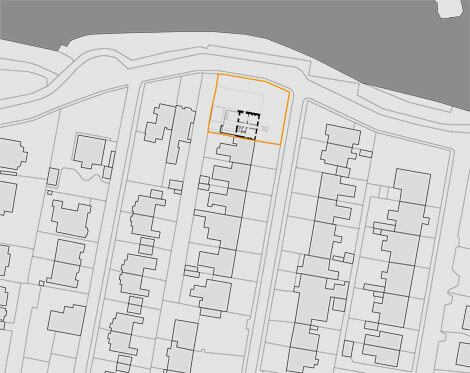 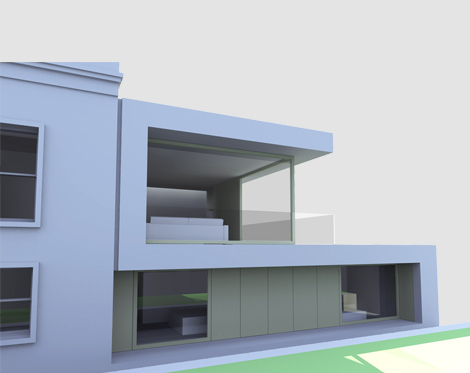 The reconfiguration of the upper floor plan re-orientates the house to exploit extensive views over Scotsman’s Bay while on the ground floor the bedrooms establish a direct relationship to the garden. 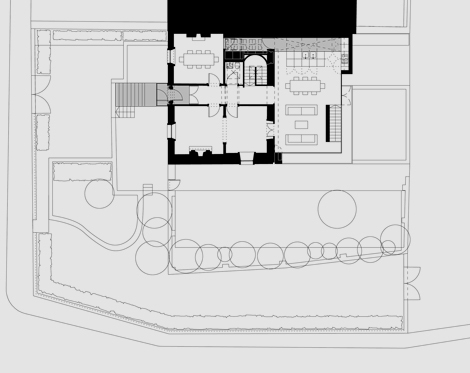 Externally the addition is rendered to match the existing house a series of low granite walls and paths define the edges of the landscaped areas. 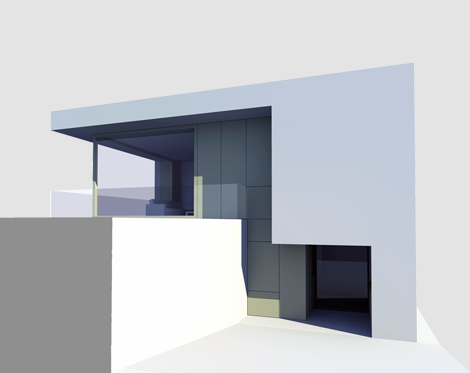 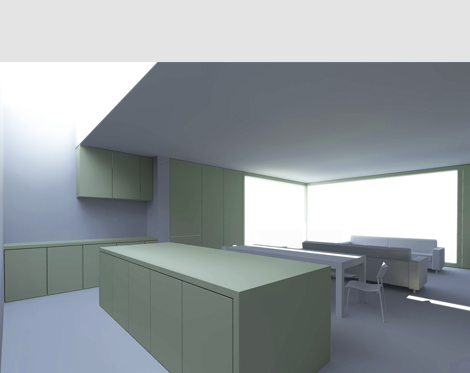 Deep reveals lined out in satin anodised aluminium are formed around the glazed sections of the elevation to offer privacy and shading to the rooms while forming an external balcony at the first floor level. 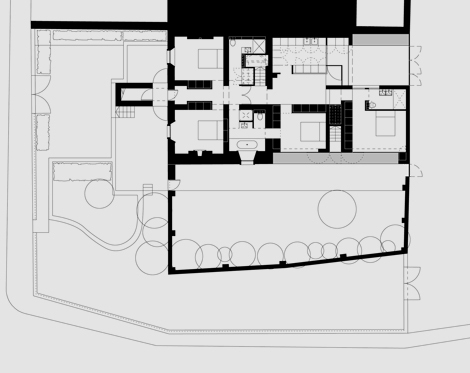 Internally the rooms are lined and floored in either oak or terrazzo.